great site from a European point of view. Think I'll enjoy if for a lot of hours. Loved the campy 81 hiphop. So glad to see new posts ! Is Big Bad Mutha Fuka officially off the market? my visitors show up at your crib but can't get their greedy hands on the good stuff.........also could you tell me what the Broman files were like....cos I still worship Freedom Power and was wondering. I go to your site looking for music and I get politics. I just deleted your url from my favorites. Why do Democrats assume everyone else is a Democrat? I appreciate this as a memorabilia item. I can't imagine anyone getting upset over this unless they were at some sort of tipping point to begin with. Keep up the excellent work. You have a great music blog here! I've added you to my mp3blog list and custom search, check it out. Rickdog's collected over 5,000 mp3blog links, accessible from the alpha menu at page top. You can open frames on these blogs to view them directly on my site, and you can also view the feeds in a frame. I add new blogs to the alpha lists once a week, but your site is immediately added to the custom google search engine. Now that Target has started selling turntables again, maybe it's time that Brooklyn gets its own record show. The debut of the Brooklyn Record Riot!!! brings together over 30 hand-picked, east coast vinyl dealers along with two trekking all the way from Quebec. "WFMU is the king of New York record shows," says show promoter Steve Gritzan. "We'd be happy as the prince." Four DJs, including Phast Phreddie, will provide the sounds, dealers will dish out cheap (and expensive) LPs/45s/CDs of all stripes, the mood should be festive. BRR plans on three shows a year and of course Warsaw will provide the food and drink. Portable turntables are encouraged for the fanatical. Awesome site. Gad to have stumbled upon your blog. Interesting stuff you got here. 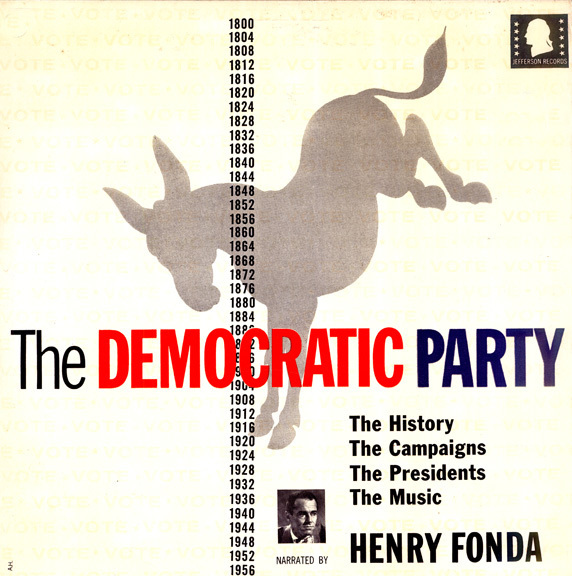 I am the Communications Director for the Madison County (TN) Democratic Party and serendipitously found this recording. I've posted it on our website with full credit to your blog. Please let me know if this is an infringement of any kind. Otherwise, THANK YOU! Not a new post since 2007 and I still keep coming back. I hope you pick back up somewhere down the road. Ya'll Turn That Radio Up Yet?